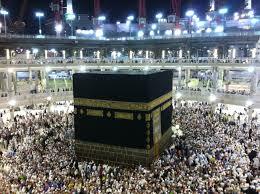 In religion Islam Umrah is pilgrimage to Holy city Makkah, Umrah is not obligatory to perform but it is highly recommended. Performing Umrah is not an easy task, Muslims may have to face many different difficulties and problems over there if they forget to bring their necessary and essential items with themselves, a person should realize this before going to Umrah. Make sure that you have all your essential documents with you like your National Identity card, Passport, Visa, etc. Before you leave for Umrah. There is prescribed clothing for performing Umrah that is known as Ihram and make sure that you must be carrying 2 or 3 Ihram so in case of any trouble (ihram gets dirty etc) you have your extra Ihram. For men, Ihram is a two piece of plain white coloured cloth for holding the Ihram men can also bring belt with them and for women, Ihram is their own clothing but be sure that not any part of your body showing. Bring Islamic books to read like guidance to Umrah pocket Holy Quran and books of Dua. A Tasbeeh to recite Durood etc so that you get reminded easily about the Ibadah. A complete procedure written somewhere telling the proper procedure of performing Umrah. Try to bring your own prayer mat with you as the weather in city Makkah is scorching hot and it’s quite difficult to directly sit on floor. Buy travelling easy to carry prayer mat. Things that you use on daily basis such as soap (unscented) toothbrush, toothpaste, comb, shampoo (unscented), towel etc. All your essential medicines such as painkillers, cough syrup, fever tablets etc. Pairs of slippers as your slippers ruptured or you may lose one. Easy to carry bag that can be easy to handle and that you can comfortably carry during your journey. You can use this bag to carry money and your documents and important things with you. You should carry a small bottle of water (preferably Zamzam Water) when you are going out of the hotel for any purpose so this will help in keeping you hydrated on the go.